Gender swapping remake of the 1984 comedy. 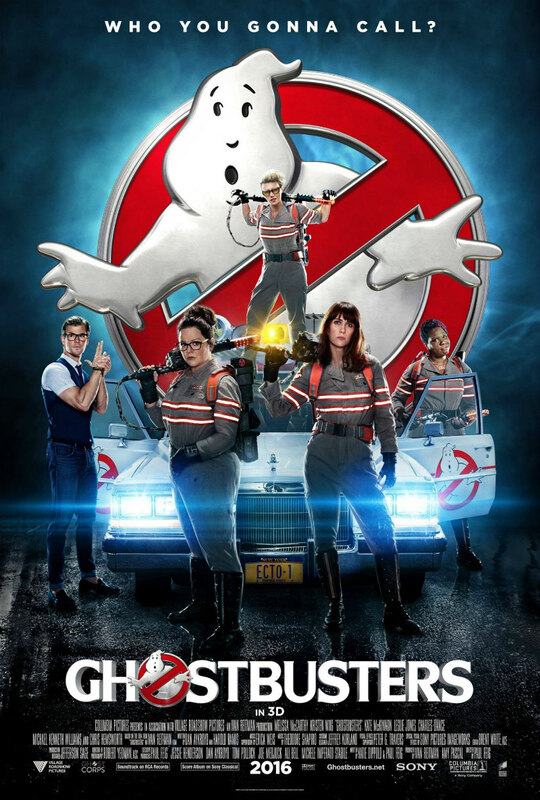 Given the sorry state of the comedy genre in Hollywood, Ghostbusters is about as good as can be expected, but while this is a movie I will never revisit, I'd happily kill another 90 minutes in the company of these characters should a sequel arrive. The reaction to the announcement of a Ghostbusters remake set an entirely new precedent however. Suddenly, hordes of men came out out of the woodwork claiming the original as the greatest movie ever made, and expressing disgust at the idea of casting people who lack Adam's Apples in the lead roles. While many are undoubtedly merely upset at the idea of a remake in any form, and have been unfairly labelled as sexist pigs, there is an equal amount of toxic individuals whose suspect love of the original seems secondary to their undiluted misogyny. Oddly enough, I've never thought of Ghostbusters as the final word on masculinity. I could maybe understand a certain type of man getting upset if say, The Dirty Dozen or The Wild Bunch were given an oestrogen heavy makeover, but Ghostbusters? Harold Ramis is hardly Lee Marvin. I had a blast with the original as a kid in a packed cinema back in 1984, but I've had no desire to revisit it since. 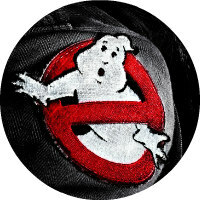 In the past, I dated two girls who were obsessed with the film - both tried, and failed, to make me give it a rewatch - and in my past life as a video store clerk the DVD was always heavily in demand for girls' nights in, so I've long considered Ghostbusters one of those odd cultural curiosities embraced by a certain type of female, the movie equivalent of bacon; it's fine, but let's not make it a cornerstone of our culture. As such, it seems fitting that we now have a female led Ghostbusters. Besides, when it comes to being funny, American female entertainers have overtaken their male counterparts in the past decade or so. Would you really rather see this movie headlined by Adam Sandler or Seth Rogen? The central cast is by far this movie's greatest strength. If anything, they're let down by a script and a director that fails to exploit their comic chops. I could count on one hand the number of times all four women were captured together in a master shot and allowed to riff off each other. I'm not advocating for the self indulgence of Judd Apatow's non-comedies, but there are scenes so badly edited here that you begin to wonder if the actors were actually on set together when they were shot. The quartet share great chemistry, but too much of it is lost in the cut. For a change, it's the black character who gets the most developed character in Leslie Jones' transit worker. The sub-par trailers had many face-palming at what seemed like another sassy black chick stereotype, but that's not what we get from Jones, whose character may be the least educated of the quartet, but is always the smartest person in the room, displaying more savviness than sassiness. Kristen Wiig, Melissa McCarthy and Kate McKinnon are less well served as three parts that together make up a whole rather than any discernible individual personalities. All we really learn is that Wiig is a little dorky and a little horny for the hilarious himbo secretary played by comic revelation Chris Hemsworth, McKinnon likes gadgets and has a quirky sense of humour, and McCarthy... well her character doesn't really have any personality, but at least she's not defined by her appearance for a change, and she's rarely been more palatable. As is common with mainstream comedies now, it's the supporting characters who generate most of the laughs - Zach Woods' haunted tour guide, Cecily Strong's catty Mayoral aide, the aforementioned Hemsworth - but the obligatory cameos from the cast of the original are distracting at best, annoying at worst, a reminder of how the modern Hollywood comedy movie has evolved into little more than an overblown sitcom episode. Speaking of distractions, the film features some egregious product placement, at one point pausing for a thinly disguised potato chip commercial. Later, the gang enjoy some pizza, the boxes of which are in clearer focus than the actresses themselves. As well as throwing several bones to fans of the 1984 film, there are plenty of deep cut references to horror fans in general; the climax sees Manhattan returned to its pre-Guiliani era, full of grindhouse theatres advertising exploitation movies. Said climax is by far the movie's low light, yet another generic city destroying sequence with beams of light shooting around, and the resolution relies on a crude piece of toilet humour, which the movie is mostly free of otherwise. If Ghostbusters fans should be upset by any aspect of this reboot it's the complete lack of effort put into the spooks themselves. 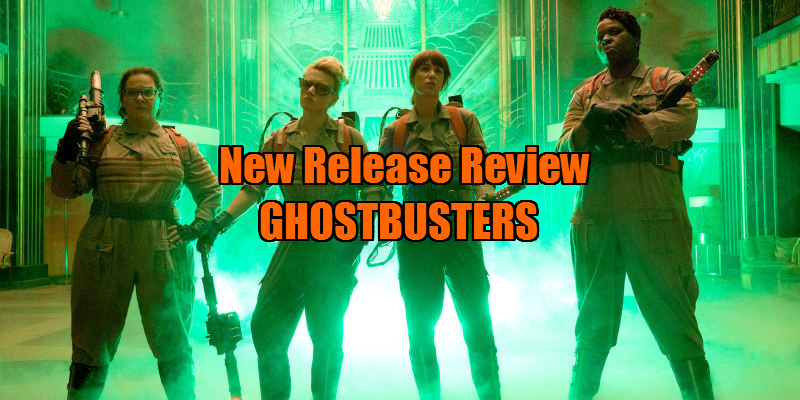 Slimer and the Stay Puft Marshmallow Man make a not so surprise return, but there's no invention otherwise. Made in the wake of Michael Jackson's Thriller, the original revelled in its practical creations, but there's nothing here to match that montage of New York being overtaken by ghosts on the loose. Thanks to the cinematography of Robert Yeoman (best known for his work with Wes Anderson), this version is admittedly far easier on the eyes. If I haven't mentioned the plot, it's because it barely exists, and the movie is probably better off for it. Structurally, Paul Feig's film owes more to the anarchic '30s and '40s comedies (The Ghost Breakers, Spook Busters, Spooks Run Wild etc) that influenced Ivan Reitman's film than to the movie whose name it bears. One scene has Jones channel the spirit of controversial comic Mantan Moreland in what could be considered either the most racist thing you'll see on screen all year or a reclamation of a dark period of African-American cinema; I'm not remotely qualified to wade into that cultural quagmire. Ultimately, given the sorry state of the comedy genre in Hollywood, Ghostbusters is about as good as can be expected, i.e slightly above mediocre. Sony are hoping for this to become a franchise to rival Universal's Fast & Furious series and Disney's Marvel universe, which seems like wishful thinking (there's no pandering to China here, unless you count McCarthy's enthusiasm for Won-Ton soup), and while this is a movie I will never revisit, I'd happily kill another 90 minutes in the company of these characters should a sequel arrive.